If you choose an above ground pool, there are two main shapes, the circle and the oval. The next task is to determine how big you want your pool. Only you can decide this because everyone has a different size yard. So it’s time to break out a tape measure! There are different things you can do that will affect the amount of space you will need for your pool. These options will also add some flair to your pool. A deck can be built around the pool or just for the entrance. The pool could also be built partially into the ground, a popular choice because it reduces the visible height of the pool making it resemble an in ground pool. Next, you should decide whether you are going to have a flat bottom pool or if you are going to have a deep end. After you decide exactly what you’re going to do with your pool you can begin choosing what model and liner you want. Choosing options for an in ground pool can be much more intense than it is for an above ground pool. 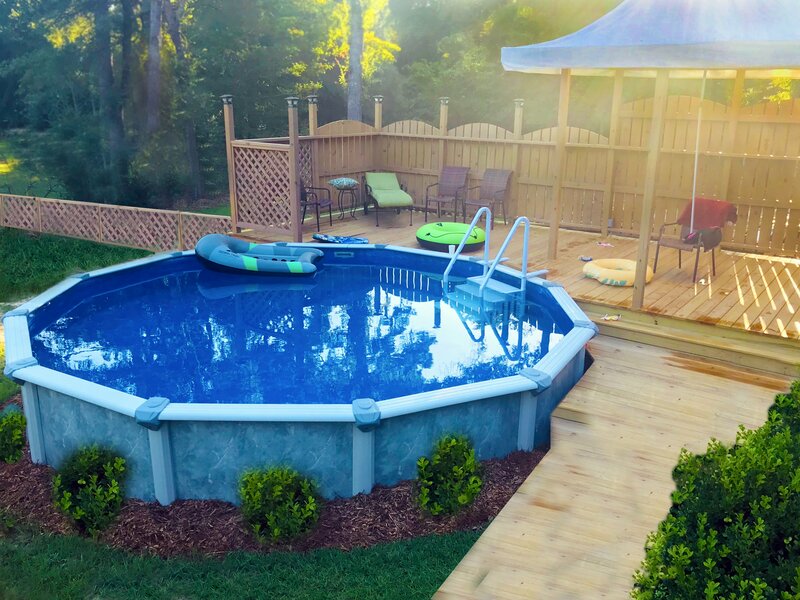 Again, the first step will be deciding how big you want the pool but there are many shapes available that allow you to get a larger size pool in a more compact area. 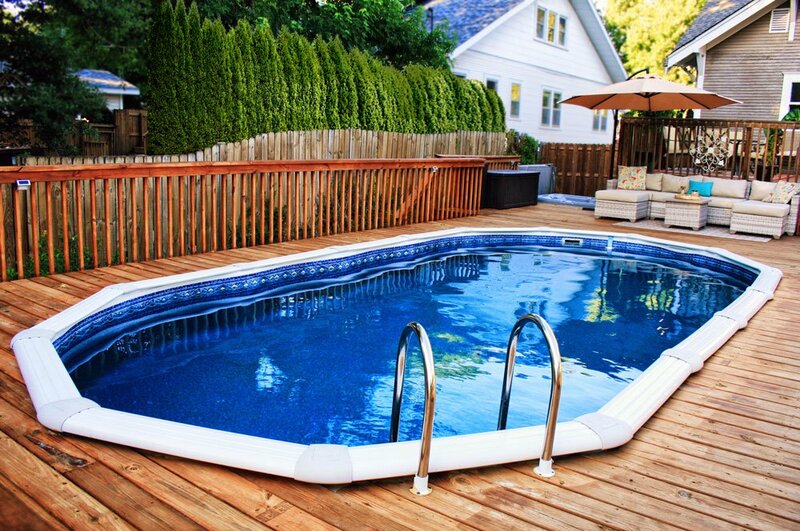 Most likely you will need more space for an in ground pool because you will want a solid deck around the pool. There are also other options you can add to an in ground pool such as a spill over spa or a swim out. Once you have chosen your pool and all your options it’s time to take the final step and get everything started!